Found 32 file extension associations related to Apple Logic Pro and 10 file formats developed specifically for use with Apple Logic Pro. You already know how to write great music. 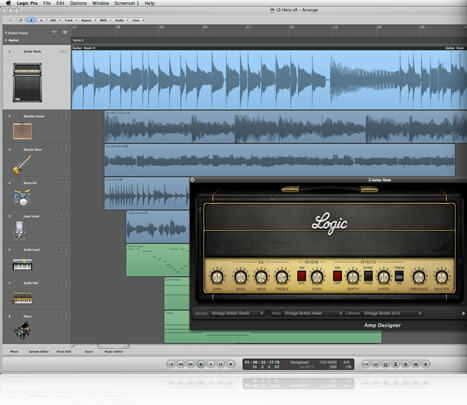 Logic Pro streamlines the technical side of things, so you can record, edit, and mix it, too. Whether you work in a state-of-the-art studio or in your garage, now you can easily put the power of the most advanced tools to work for your projects. Tap into a huge collection of instruments, sounds, and loops for inspiration. Get set up and recording quickly. Perform complex edits in a fraction of the time. And mix down projects of any scale with full automation and surround capabilities. It’s a pro studio that’s not just for pros. If you need more information please contact the developers of Apple Logic Pro (Apple, Inc.), or check out their product website.